The very foundation of my work lies in the tenant that our behaviors, that inform our results, are deeply and powerfully tied to our beliefs. I’ve been touted as a behavior change specialist, but it’s not really true. I’m actually a beliefs change specialist. Only no one has ever heard of that as a field. But in my home discipline of Anthropology, we discuss how the beliefs that are enculturated through your experiences with norms in your larger culture determine your results. It’s why you have to back up and take a deeper look into your life if you want to change. Change on the level of your behaviors will only take you so far. Therefore, if you want new results in your life, instead of looking only as far as the activities and reactions you behave in that get you to your outcomes, look deeper to your beliefs. Then, think about the beliefs that you’ll need to hard-wire into your brain that support your new set of improved results and outcomes. Do any of these resonate with you? What statements would you have to believe? 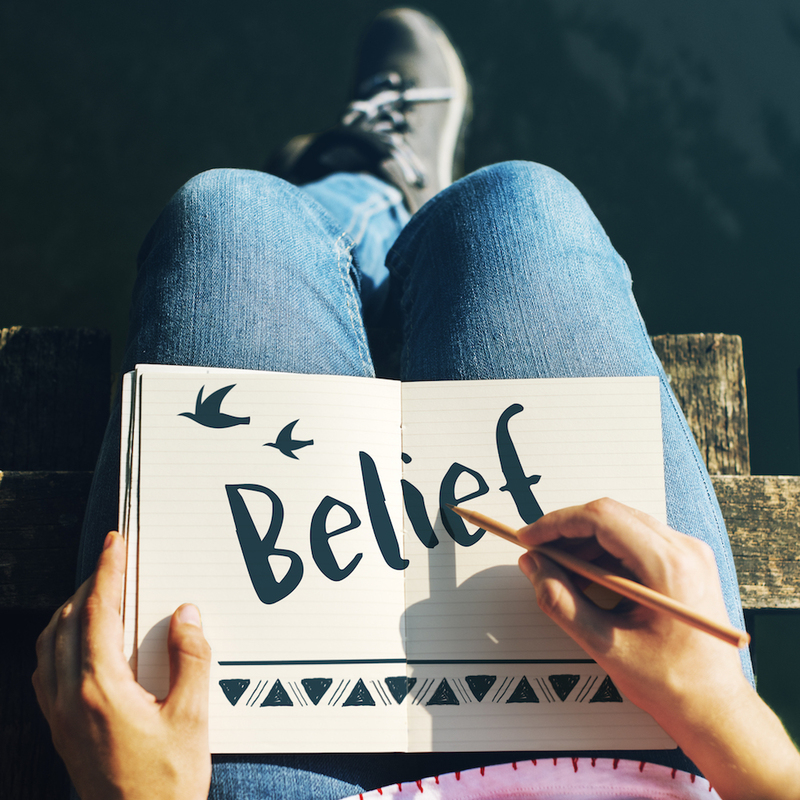 Take some time today to list out the beliefs that serve you rather than hold you back. You’ll need to be crystal clear about what these are if you’re going to tell your brain what to do next.